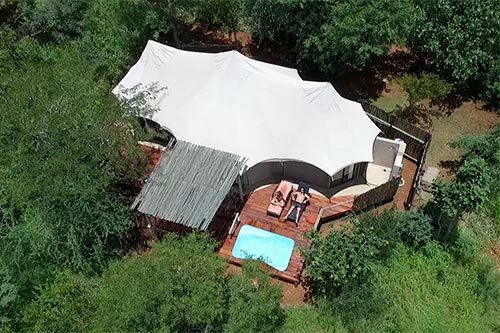 The Elephant Camp West has been specifically designed to meet the needs of smaller groups and families looking for a more intimate and exclusive safari experience. 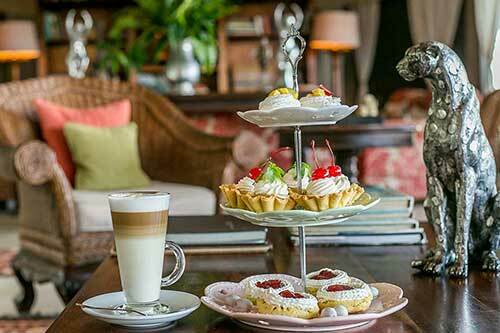 Although The Elephant Camp West operates separately to the main camp, it embodies the same authenticity, luxury and environmentally sensitive premise. 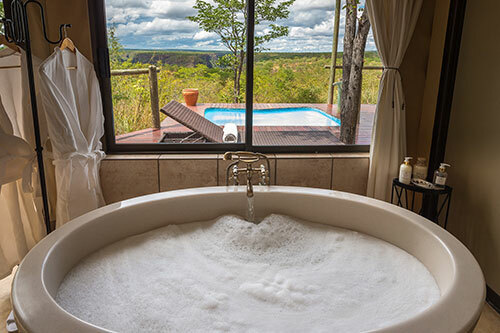 The spacious, “marquis-style” tents have their own private deck and personal plunge pools that are perched above the Victoria Falls National Park with the Mosi Oa Tunya (smoke that thunders) in view. 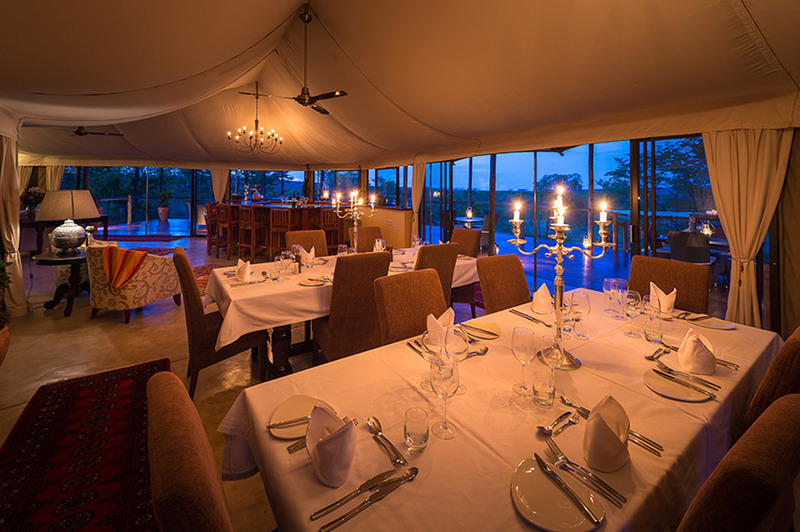 The dining tent and main pool deck are detached from the main camp, ensuring a serene dining and relaxation time. 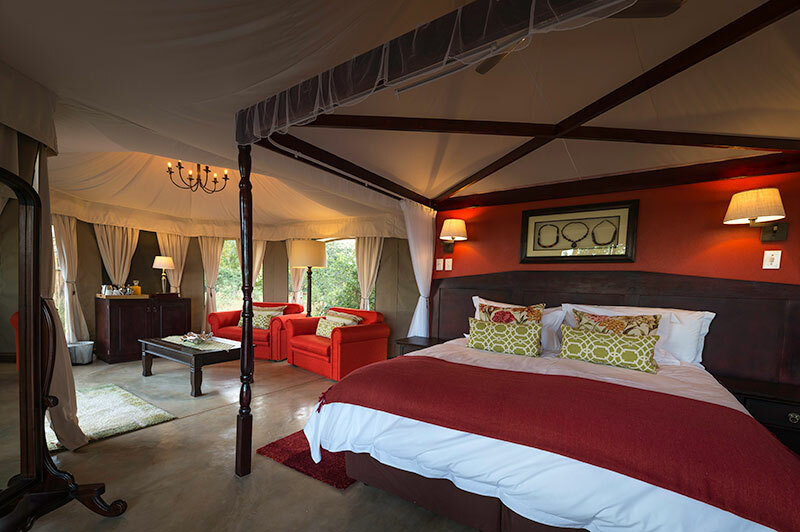 The décor evokes a traditional safari ambience with rich colours, wooden artefacts and an open-air design. 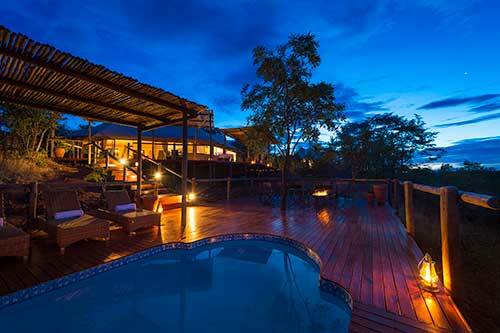 The camp can host eight guests in four stand-alone suites for the ultimate luxury safari get-away. Guests can appreciate the serenity and tranquillity of the African bush, yet remain in close range to the variety of attractions and activities that the town has to offer. Bride pays a reduced rate (50% of nightly per person rate).